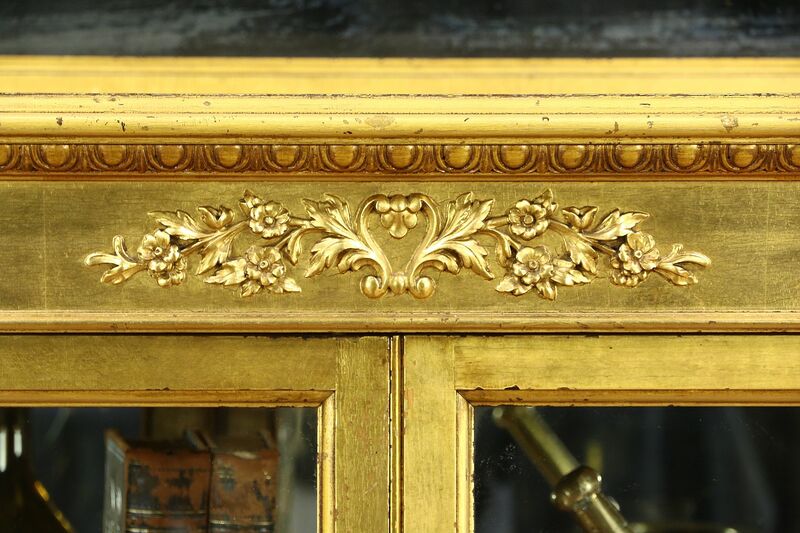 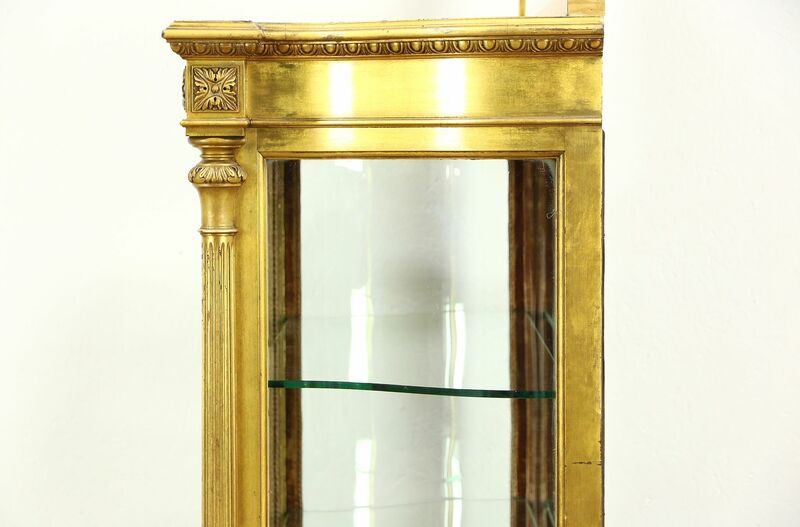 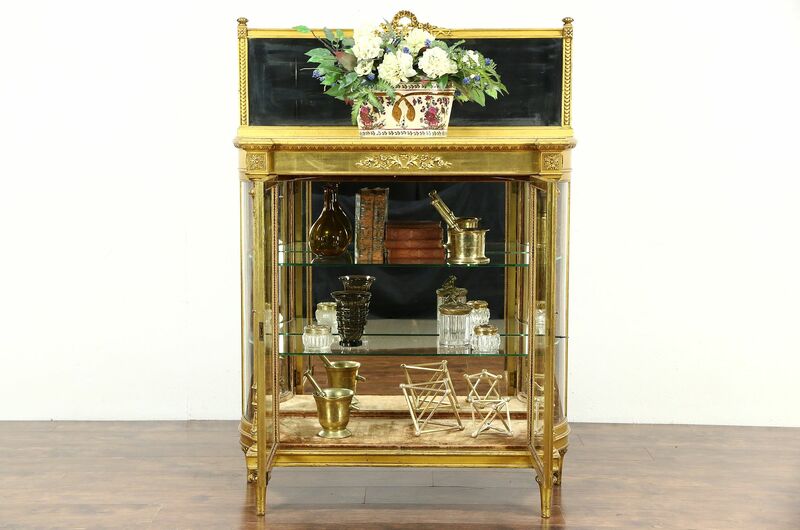 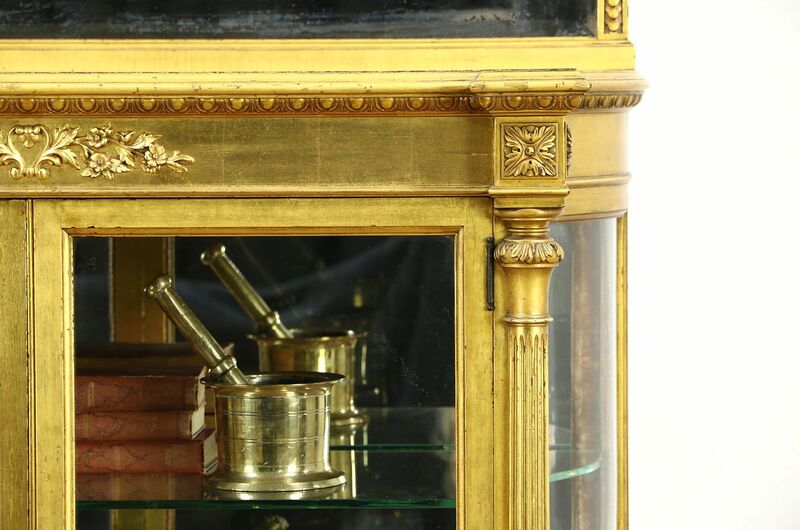 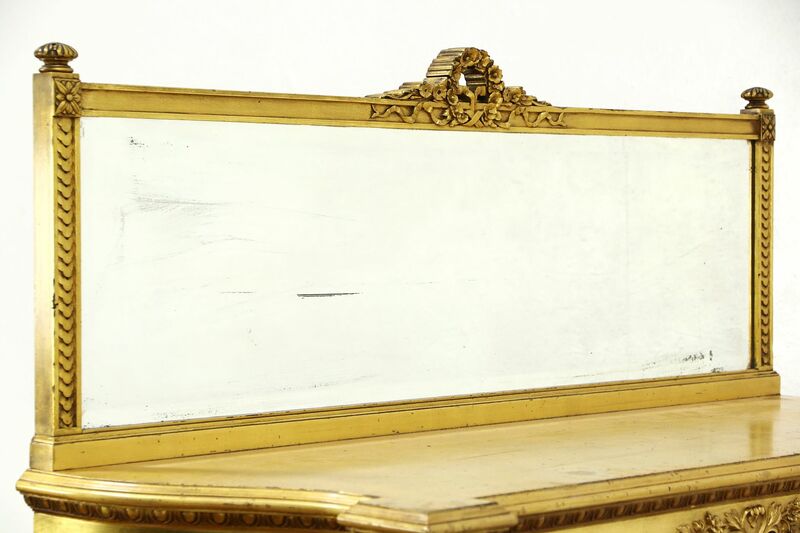 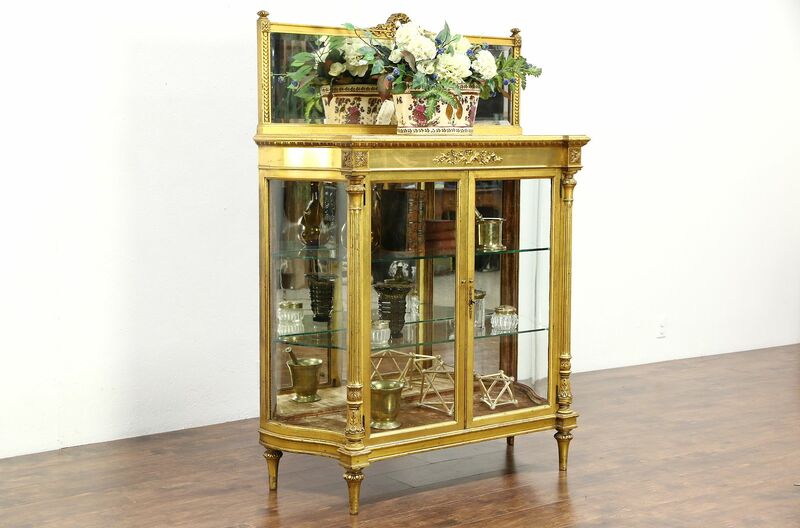 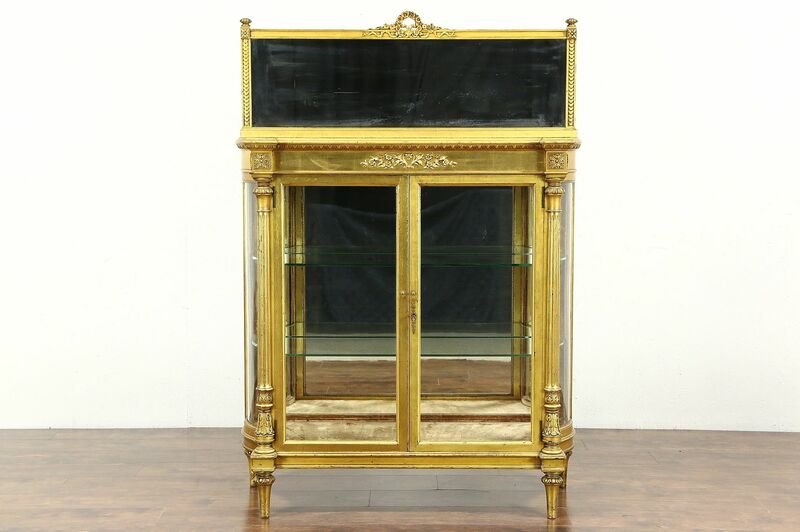 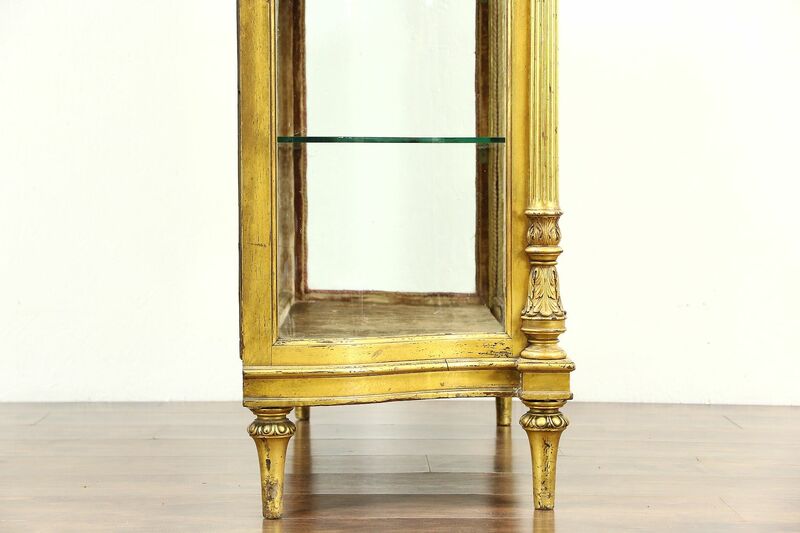 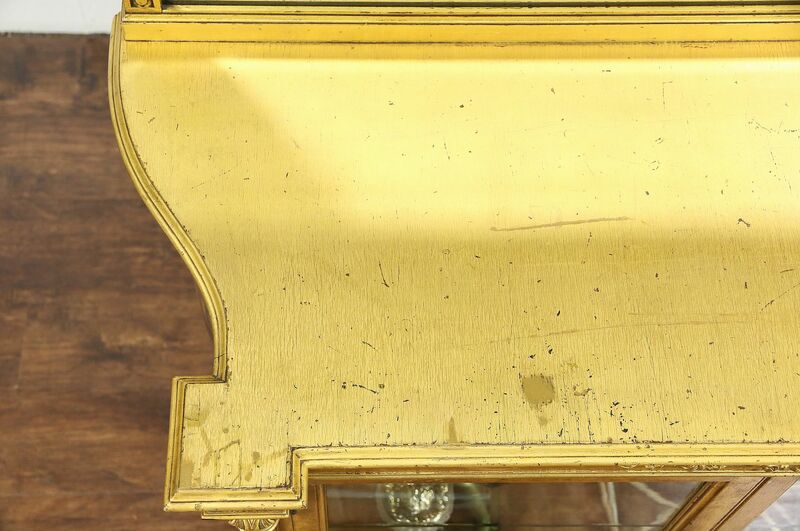 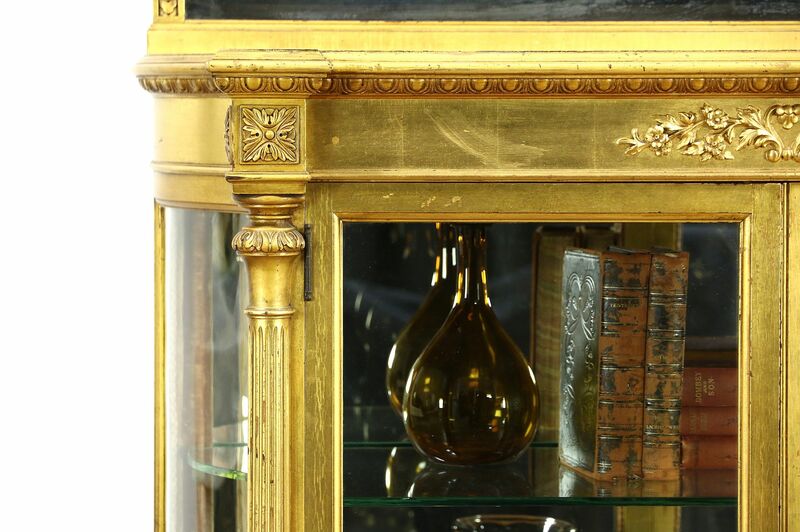 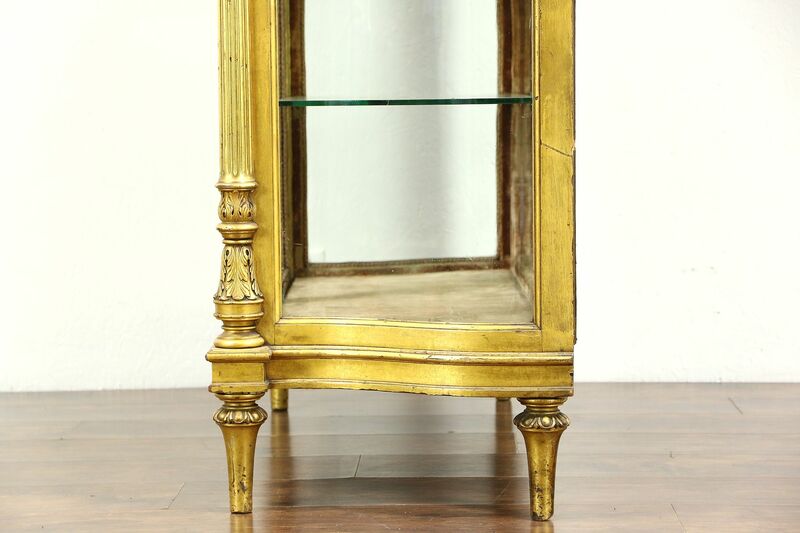 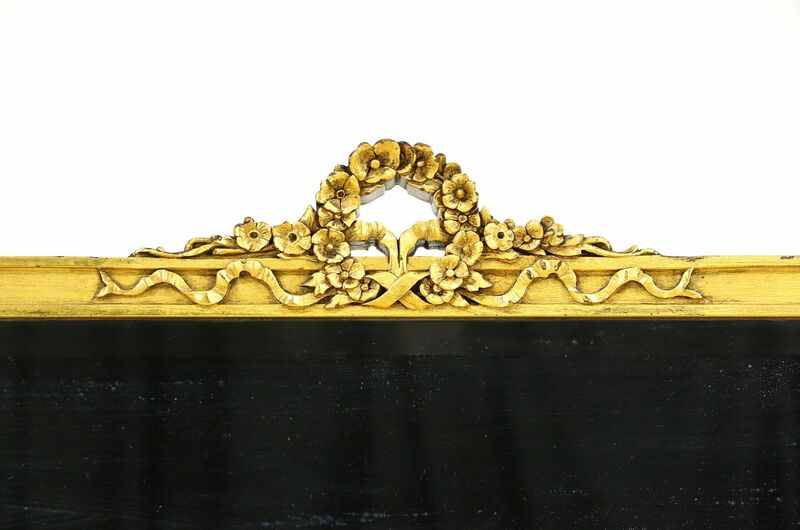 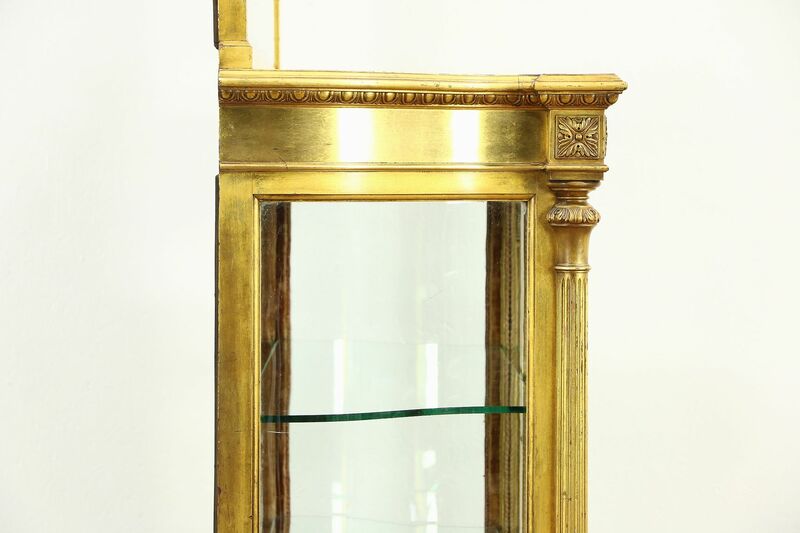 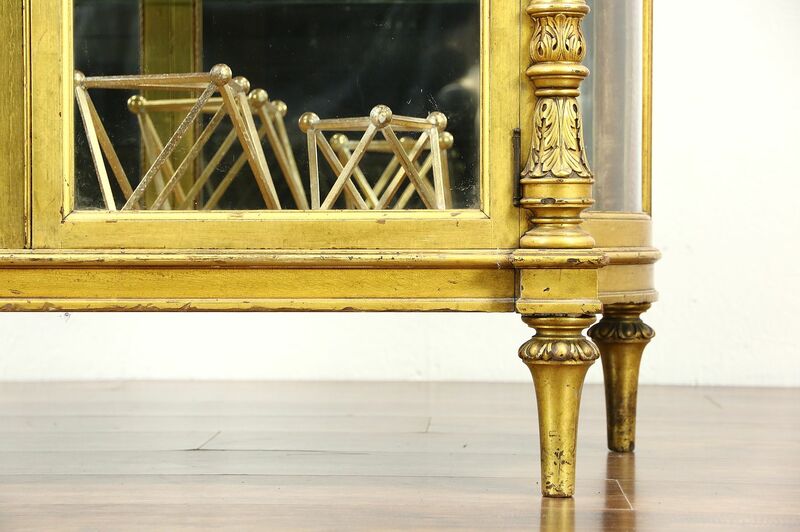 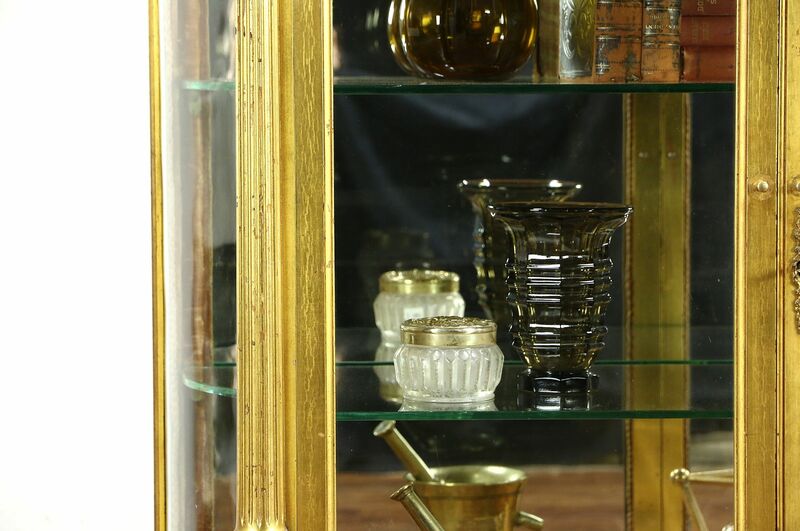 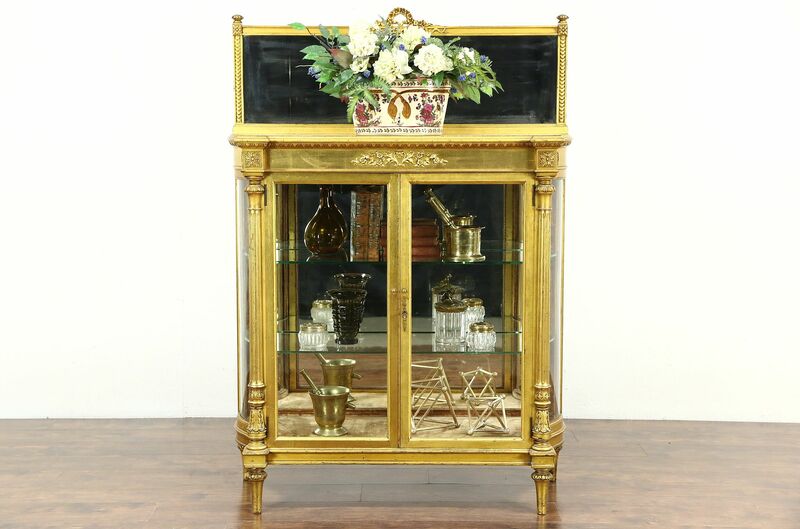 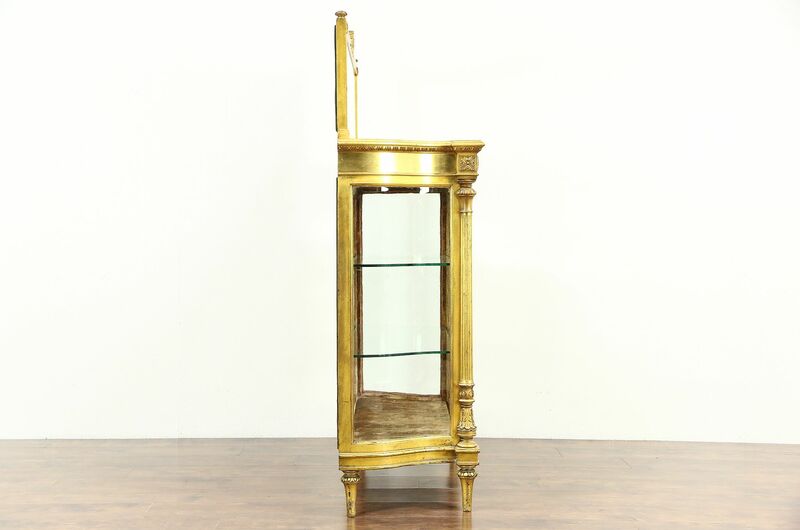 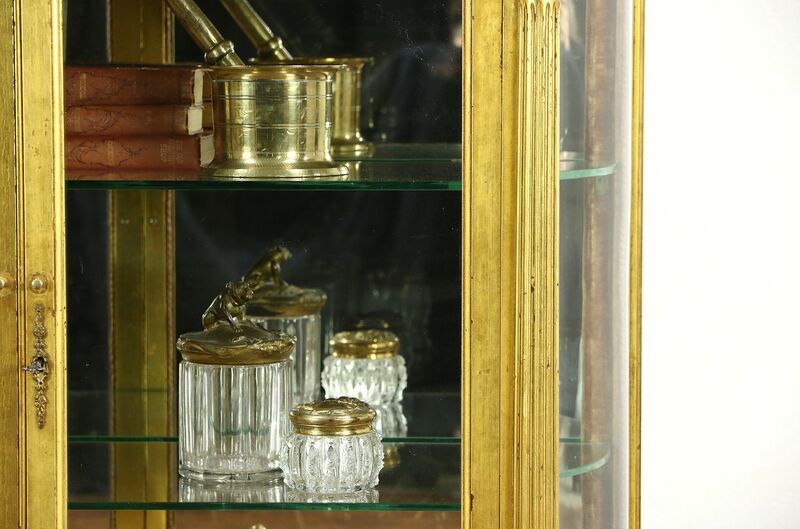 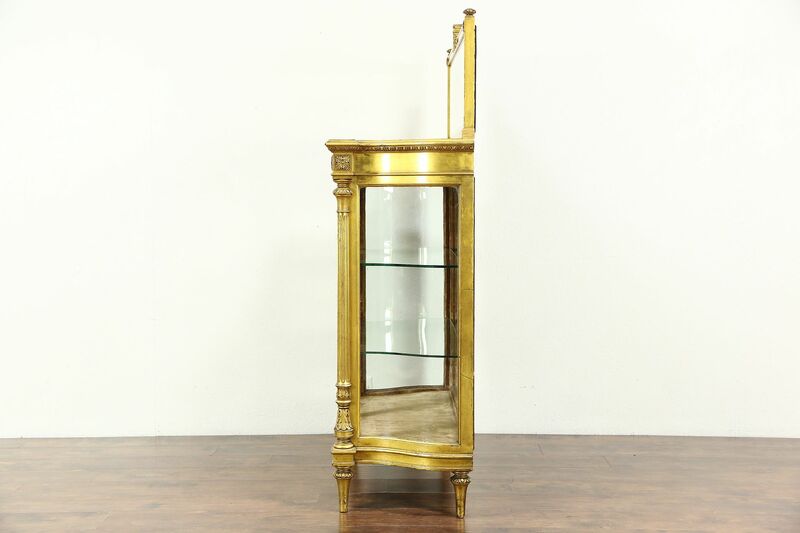 A palatial curio or china display cabinet was hand carved in France in the Louis XIV manner about 1880, and has a charmingly worn original genuine gold leaf finish. 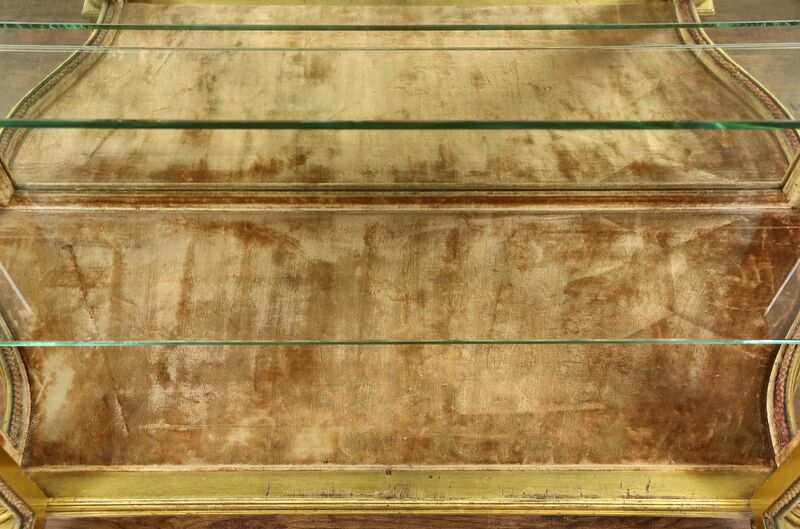 All original except for two tiny knobs on the doors, the finish has wear and mars, see photos. 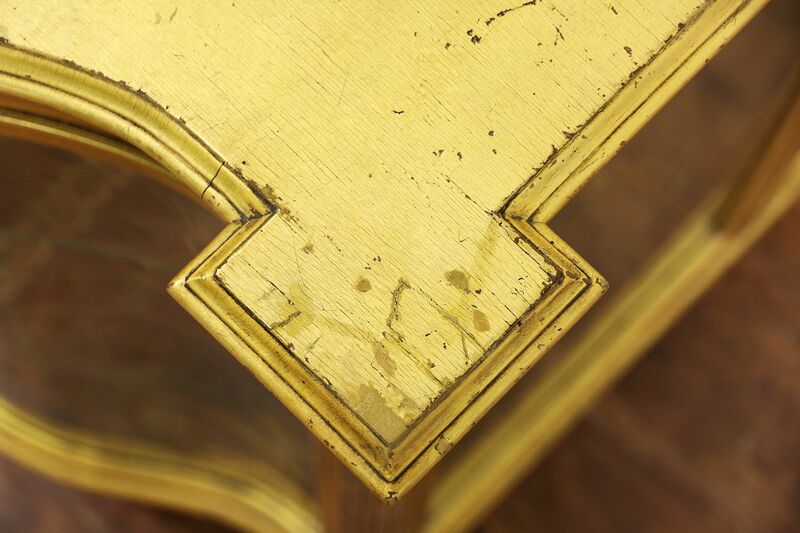 The lock and key work. 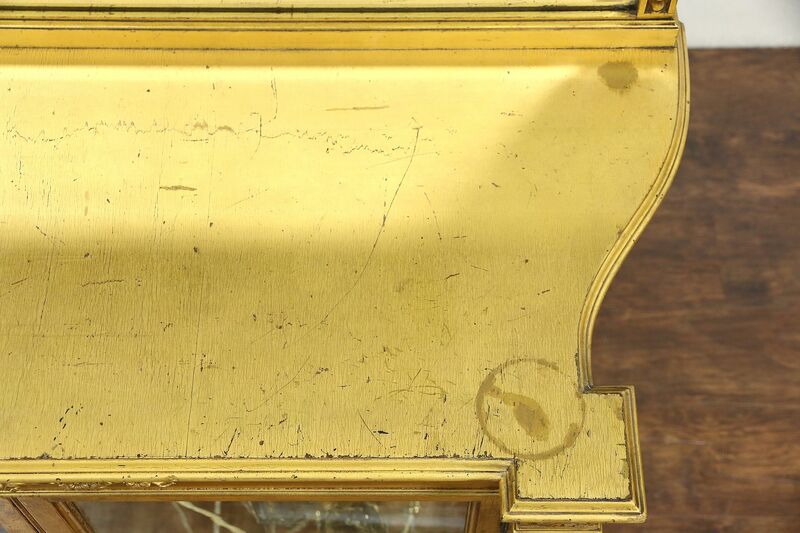 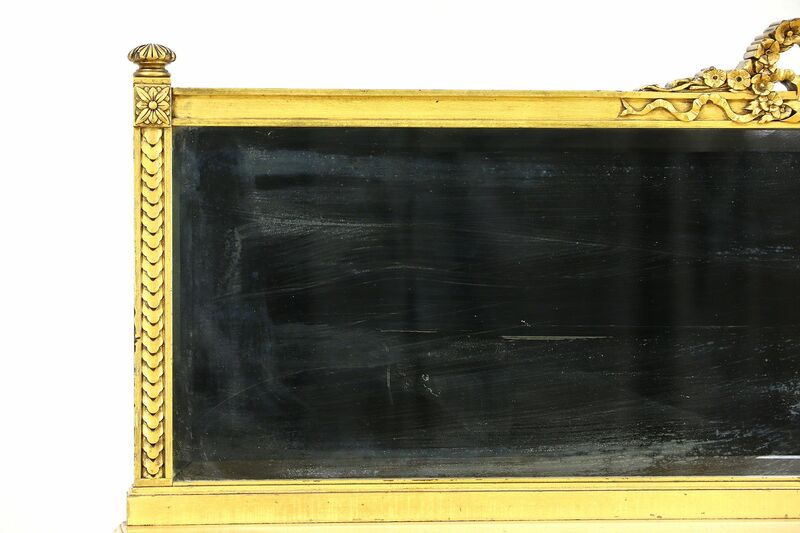 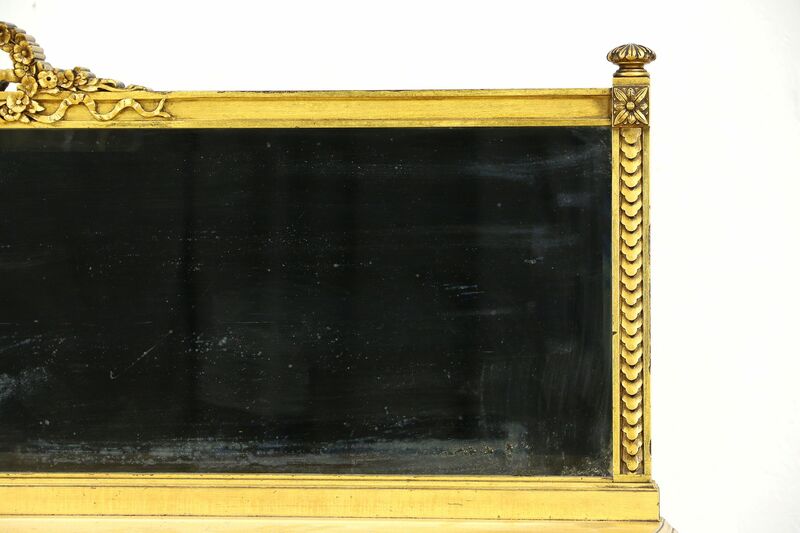 A beveled mirror has a little "smoke" to show its age. 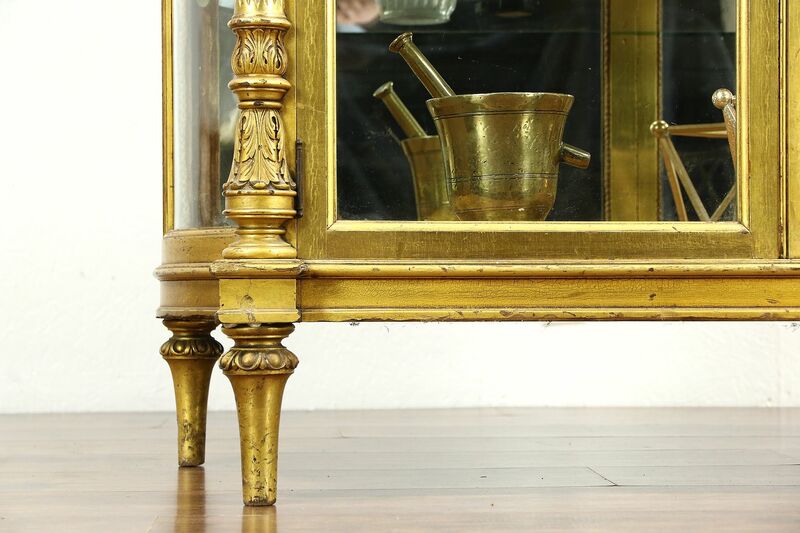 The interior has old velvet in the bottom and a mirror behind on this luxurious antique furniture. 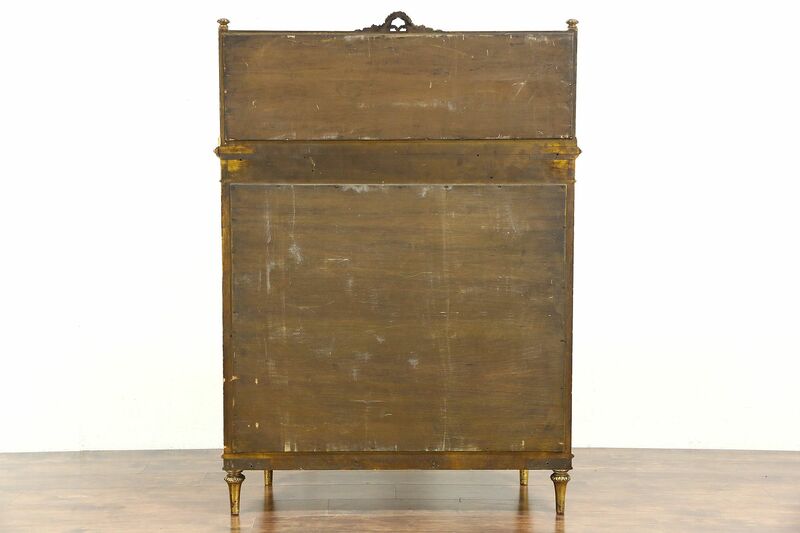 Size is 46" wide, 19" deep and 63" tall.